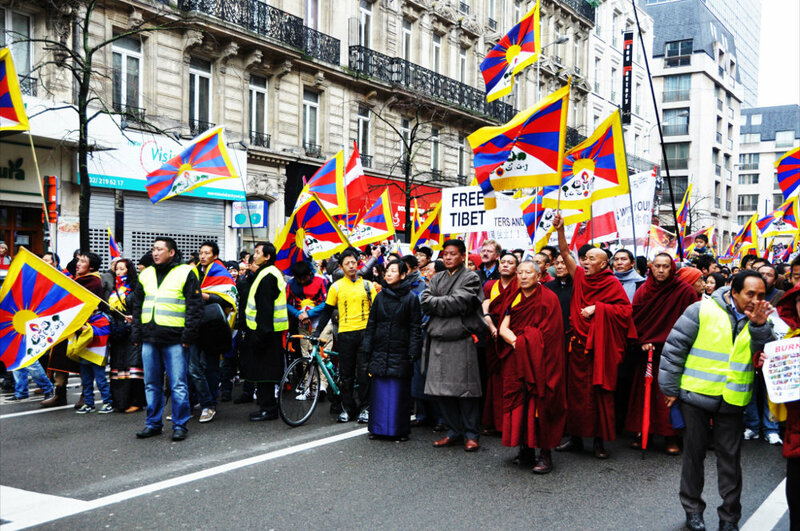 (TibetanReview.net, Mar09, 2015) – Ahead of the 56th anniversary of the Tibetan National Uprising on Mar 10 and a major Mar 14 rally for its commemoration, organizers have made public a Paris Declaration which is meant for the European public to express support for and solidarity with the Tibetan people in their struggle for the resolution of the conflict concerning their Chinese ruled homeland. Among the first group of prominent figures who signed the declaration, which was made public on Mar 7, are Mr Robert Badinter, former Minister of Justice in the French government and former President of the Constitutional Council; Ms Claudia Roth, a Vice President of the German Bundestag and respected voice for human rights, and Mr Karel Schwarzenberg, former Czech foreign minister and close collaborator with Vaclav Havel. Supporters of the Tibetan cause from across Europe will gather in Paris on Mar 14 for a major rally which will pass by the Eiffel Tower. Copies of the declaration will be handed to Tibet campaigners from across the continent. They will lobby with representatives and leaders of political parties across Europe, seeking their solidarity with the Tibetan people in their struggle and support for the declaration. Given China’s recent successes in bullying European governments and government leaders into submitting to their dicta against meeting with Tibet’s exiled spiritual leader, the Dalai Lama, the declaration expresses profound concern about Europe’s failure to influence China on the tragic situation in Tibet today. The declaration also calls on European governments and institutions to formally receive the Dalai Lama and the democratically elected Tibetan leaders at the highest political level and to publicly endorse the Dalai Lama’s proposal for genuine autonomy for the Tibetan people. Mr Badinter will be among the speakers at the rally when a proclamation ceremony for the declaration will be held. Those organizing the rally include the Tibetan communities in Europe, the International Campaign for Tibet, the International Tibet Network, and the Tibet Initiative Deutschland.